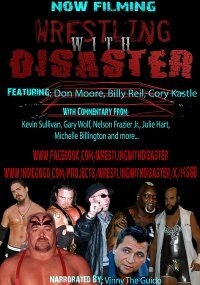 Your upcoming documentary Wrestling with Disaster - in a few words, what is it about? 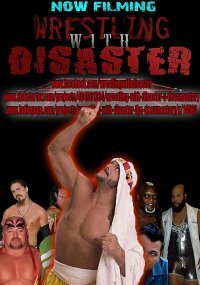 Wrestling with Disaster is the story of how several wrestlers both well-known and on the independent scene have ran into obstacles in their lives and careers, such as devastating injuries, drug and alcohol abuse, the loss of friends and family to a number of causes, such as drugs, alcohol, suicides, and even in ring accidents. But, it's not just a story about all of these negative occurances, it's the story about how they overcame them and moved forward in their lives. There are countless wrestling documentaries out there - so what makes yours special? Again, the big difference between our documentary and a lot of the other documentaries out there is that ours focuses on the positive potential of very negative situations. Some of our stars have never gotten involved with mishaps behind the scenes, some of them have, and have moved forward, and others had things happen to them that were out of their control. Take Cory Kastle for instance, this kid had an AVM, where arteries and veins tangle in the brain, and a grandma seizure, nearly taking his life. Two years later he's back in the ring and is already a heavyweight champion in one of the promotions down in Delaware. We have great stories like this, and not only that, we have a lot of big names telling their experiences as well. First and foremost, why wrestling, and what do you find so fascinating about it? I grew up on wrestling. You know, when I got sick a couple of years back, and even before then, when I had heart surgery on 9/11, I knew I'd never be a major athlete or be able to take hits in a sport or bumps in a ring, but I still always had a passion for it. You know, I can do ring work and goof around on a mat like training for MMA or something along those lines, but now I'm missing two ribs in my back, so one shot to my ribs and I'm done. What does this have to do with the question? Simple, I was able to dream, imagine storylines in my head, imagine what I would do if I were running things. Then I had to grow up. So, I stopped pretending, but as I was growing up, I was watching the men and women that I loved to watch all start to die. It was really depressing because these were my childhood heros. That's when I realized I had to do something with wrestling, so I chose to make a documentary about how this is happening, and moreso about how these guys are moving on afterwards. I'm interested in the psychology of these men and women. I don't want to make their sport look bad, I just want to hear their stories. How did the project get off the ground to begin with? It was a rough start. For three months I pushed to get people interested. Big names is what I was shooting for. I wasn't even thinking local, indy guys. And wrestlers were turning their noses up at me. I mean here I am, some outsider, talking to them about drugs, steroids and suicides. They didn't want to hear the rest. They didn't want to hear the purpose of the film. They just heard the negatives and maybe they've been burned in the past, or maybe the got tired of other documentarians coming in and hurting their business. They didn't want to give me the time of day. One day a friend introduces me to her friend, and I'm not going to get into all the naming and stuff like that, but I got connected with this guy, and we started to pick up Indy guys. Then Indy guys knew bigger names, and it started to multiply. Before you know it I am working on potentially over fifteen people in this documentary in the next three months, after the three months of crickets *chirp chirp*. But things were finally starting to take off. I started to film in wrestling schools, people started to trust me and what I was doing, and it's continued to grow ever since. What can you tell us about the research you've done on the subject specifically for the movie, and has it at all changed your perception of wrestling? The research I've done is the reason for the film itself. My heroes were dying and I wanted to know why. That's the simple part, but as I continued to do the research, it became less about wrestlers dying and more about the ones who are still around overcoming these tragedies. The way I saw it was what happened to those in the past, happened in the past, but this documentary is a way to hopefully prevent it in the future. People will watch this and maybe think twice about traveling that road of "Disaster" so to speak. Wrestling with Disaster is more about the mentality that one is wrestling with, than the actual physicality involved in wrestling. These guys are battling a lot, and it is much deeper than what the audience sees in the ring. How would you describe the typical wrestler? That's a loaded question. I don't know if there is a typical wrestler. I mean, I've worked with over 15 guys in the last three months and no two personalities or physicalities were the same. It's different with each guy, or at least that's how it seems so far. 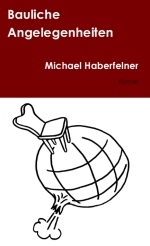 Who are some of your interviewees on Wrestling with Disaster? So far, we have already begun interviews with several mainstream talent, such as "Pretty Boy" Larry Sharpe, Sabu, Glenn Ruth (fka Headbanger Thrasher) and Pitbull Gary Wolf. These are all local guys or guys who were local recently. Larry Sharpe owns Monster Factory, a prestigious wrestling school out of the Southern New Jersey area. He and Danny Cage, another co-owne,r have been very welcoming to me. I can't thank them enough for their hospitality. 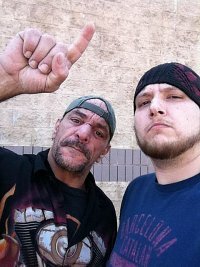 Sabu was a cool guy, and anyone who either knows who Sabu is or knows about him, could only imagine what spending a day with him is like. And Gary is another guy that has been really good to me so far. These guys were all mainstream, and they have been very open and honest with me for our interviews. Other guys I have lined up - "The Genius" Lanny Poffo. I'm really excited for this interview because he is the brother of legendary deceased wrestler Randy "Macho Man" Savage, and you know that is going to be a great interview. I also have well known names like Kevin Sullivan, Nelson Frazier (fka Big Daddy V, Viscera), Angel Medina, and a lot of names that I'm not even allowed to say yet. I mean it's growing fast. Also, I have a lot of indy talent. Guys that have some of the most amazing stories, some touching, some sad, but all are fascinating. It's been tough, sometimes I have to hold myself back from breaking down during an interview just because the guy in front of my camera is. It's a trying time. But, I'm the guy asking the questions, not the guy reliving some of the toughest moments in their lives. How easy/hard is it to find/get the rights to the wrestling footage you want to feature in your film? It's not hard to get the rights to wrestling footage... unless you're broke, then forget it. I'm working things out, meanwhile, I've been shooting all of my own wrestling footage from the events that I have attended and the promotors I have been working with. Thank you DCW, ECPW, and the Monster Factory for allowing me to shoot at their shows. According to my information, actress and dear friend of this site Debra Lamb [Debra Lamb interview - click here] is one of the producers of Wrestling with Disaster - now how did she get on board, and what will her contribution to the project be like? Debra's contribution will be a million dollars. No, seriously, Debra and I worked on a film together a couple of months prior to starting Wrestling with Disaster, and I was the lead editor and she was an actress/talent doing a few skits for the video. It was a party flick shot by a few of our mutual friends, and after I was finished helping with their project, we all had a big party/celebration at a horror convention around the time the movie was released. That's when I actually met Debra for the first time. After a great weekend and a lot of conversation, we both realized that eventually we would work together again. So since then, we have kept in contact and gave each other leads on films that we had going on separately until it was finally time to work together again. Which was now. She loved the project, and I thought she could help out. So I ended up asking her if she wanted to hop on. The rest is history. Debra hits a whole different market for me. She's of the horror genre, and while this is a documentary about wrestling, so to speak, it's about overcoming horrors. In all honesty, none of that made sense. I know Debra has a great business mind, and yes, she does reach a different market and a different fan base, so I know with Debra on board it allows for this project to grow more. She has proven to be a great asset in the time that she has been with us. So I look forward to what else we can bring to the table working together. As far as I know, you're presently still raising funds for your movie - so what can you tell us about your fundraising campaign? Yes. It's not easy. While we are continuously working on private investors, we were hoping to reach the crowd sourcing network first and foremost because then, not only do we get help, but they get something back as well. Perks. Perks! PERKS! We're offering posters, t-shirts, signed memorabilia, pre-ordered DVDs, and tons more! Once the funds are raised, how do you plan to proceed, and any idea when and where the film might be released onto the general public yet (and I know it's probably waaay to early to ask)? Once the funds are raised I have to begin traveling. A lot of the talent lives all over the country, and even in Canada *hint hint*. In order for me to complete some of these interviews I have to be able to get to the locations that these stars live. That and equipment costs are our biggest expenses. We are certain the documentary will hit major sites like Netflix and so forth, but we are working for at least a limited theater release, and definitely in the film festival circuit by January 2014. You have recently also directed a short movie called Beat That - you just have to talk about that one for a bit! Beat That is my kryptonite. It was the first film I shot after my cancer, and well, it was about my cancer. It starred some local Orlando, Fl talent, as well as Enzo Palumbo from CBS Big Brother fame. After shooting it, I found it very difficult to pick up and edit. It's hard looking at the material and truthfully I'd prefer someone else to edit it at this point. However, I have actually worked on a rough cut, and I expect it to be finished within the next few weeks. I definitely need to move past that stage in my life, and the people who worked hard on it need to be able to finally get the chance to see it. How did you get into filmmaking in the first place, and did you receive any formal training on the subject? I was/am a student at Temple University in Philadelphia, PA. I started about 10 years ago, and left due to health reasons, then returned a few years ago, and am now almost finished with two degrees. I am currently double majoring over at Temple. So I look forward to that notch on my belt. What can you tell us about your filmwork prior to Beat That and Wrestling with Disaster? I have had several gigs in the last few years. As I mentioned I was lead editor on a project that Debra was on, known as Celluloid Bloodbath More Prevues From Hell. I did a lot of the sound work in that as well. I also did all of the sound effects for a short film called The Fay, produced and directed by Mark Bonocore who is another producer on Wrestling with Disaster. 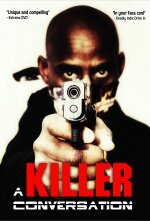 That film will be out there in film festivals by the summer of this year. And I have done a lot of small work, but this is the first production that I am the leader on. So I look forward to the film audience getting the opportunity to see a young, up and coming director's work for the first time. Any future projects beyond Wrestling with Disaster you'd like to talk about? I have a few irons in the fire, but right now all I can do is think Wrestling with Disaster. I'm the guy on this project and truthfully, all of my time is devoted to it. Darren Aronofsky, Christopher Nolan, Alfred Hitchcock, Gus Van Sant, Clint Eastwood(as a director), and two more of my favorites are Edward Burns and Peter Berg. 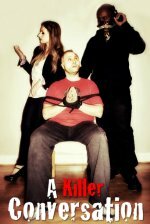 Good Will Hunting, Mystic River, Notorious (Hitchcock), The Dark Knight, Life in a Day, and I'm a huge TV show advocate for Dexter and Friday Night Lights. I don't know, I really don't care much for slapstick comedy. I'm a dark humor guy, or a drama guy. I am truly getting tired of Tim Burton and Johnny Depp. I mean, don't get me wrong, some of their stuff I really like, but the duo has run its course in my opinion. Your/your movie's website, Facebook, Kickstarter and the like? We have a site www.wrestlingwithdisaster.com, but it's under ongoing construction forever now. I need someone to jump on that for me. Ha! If you thought what I have mentioned in this interview about Wrestling with Disaster was interesting, wait until you see what else I have coming in the future months. This film is hot, and many people are jumping on board... just saying. And thank you to everyone that has been involved up until this point and going forward!